This metal knob provides the clean and simple look you want for your modern decor. 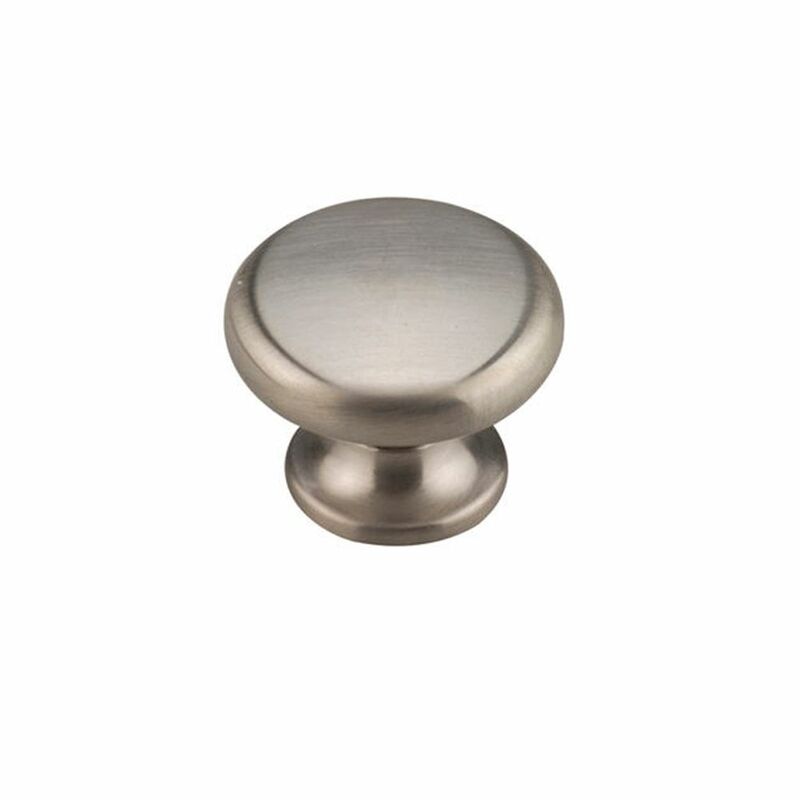 Richelieu Contemporary Brass Knob - Brushed Nickel - 30 mm Dia. Enhance the appearance of your furniture and home dicor with this contemporary knob by Richelieu. Features a trendy finish and an elegant triangular-shaped design. This contemporary metal knob by Richelieu is really distinctive. Its smooth and elegant form will give your cabinet doors an instant makeover. This contemporary knob complements those types of furniture/cabinets that are simple with clean lines. This Richelieu product features concentric raised circles on a short shaft on a round base. It fits in with many types of decor. Contemporary Metal Knob 1 3/8 in (35 mm) Dia - Brushed Nickel - Gatineau Collection This metal knob provides the clean and simple look you want for your modern decor.